It doesn’t matter who you are, no one likes the look (and feel) of rundown, over oxidized pavement. What most people don’t consider is a fog seal treatment as part of their maintenance. If a parking lot or driveway facelift is in order, you may find this post on fog sealing helpful. A fog seal is a cost-efficient alternative to a complete repaving of asphalt. The fog sealing procedure is quite simple. 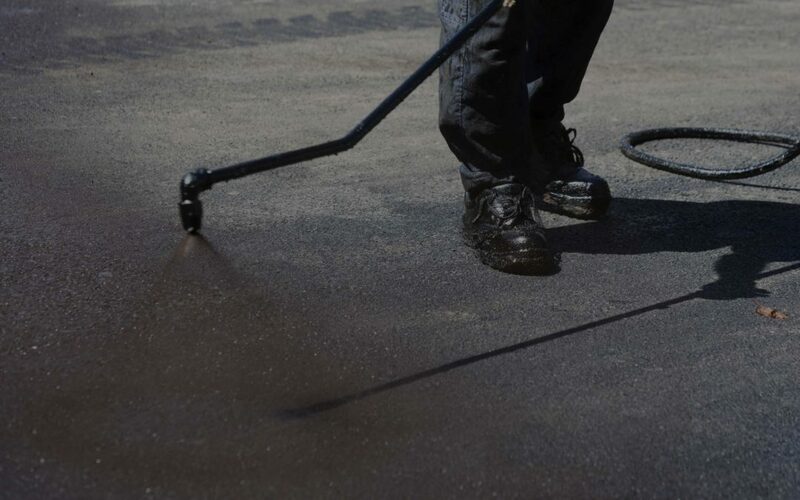 A light asphalt emulsion is added to the surface of your project to revitalize the oxidized pavement. These seals are ideally used as a preventative form of maintenance, which should be reapplied every two years. If not properly maintained, asphalt can form hairline cracks that can eventually turn into potholes; fog sealing helps slow down this process, sealing up cracks to keep out water. Fog sealing will generally take six to eight hours to dry and may even require a longer drying time depending on a variety of factors, including the weather. Here at Seal Pro’s Hawaii we recommended that the fresh sealant is allowed to completely dry before any vehicles drive on the newly-sealed pavement, 24 hours of drying is always a safe bet. A good paving company will help you hash out all of the details of your project before the work begins, making sure to allow enough time for the seal to dry and clearly marking off any areas where the fog sealer will be applied. Oxidized and faded pavement is never a pretty site. Hit the tab Services above to see what we offer and our options for protecting your investment. Don’t hesitate to fill out our free estimates form or even give us a call at (808) 591-6086 to speak to one of our trained professionals.